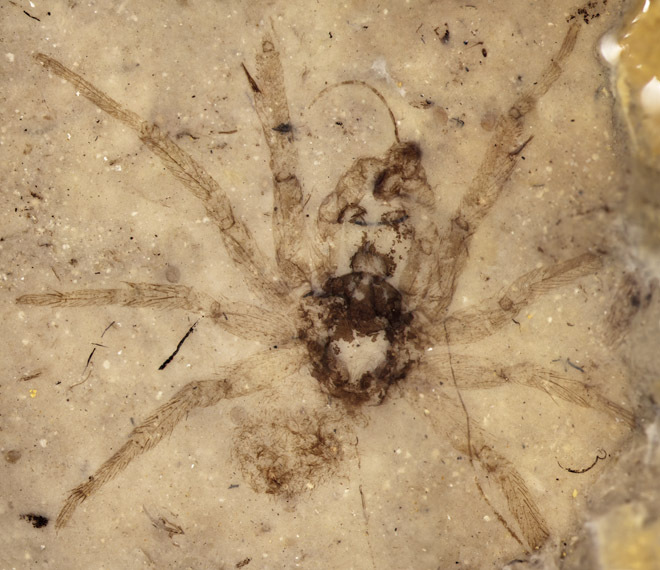 Abstract: New fossil spiders (Arachnida: Araneae) from Middle Jurassic (ca. 165 Ma) strata of Daohugou, Inner Mongolia, China are described as Eoplectreurys gertschi gen. et sp. nov. and referred to the modern haplogyne family Plectreuridae. This small family is restricted to southwestern USA, Mexico, and the adjacent Caribbean area today and hitherto has only a sparse Cenozoic fossil record. The morphology of Eoplectreurys is remarkably similar to modern forms and thus demonstrates great evolutionary conservatism. This new discovery not only extends the fossil record of the family by at least 120 Ma to the Middle Jurassic but also supports the hypothesis of a different distribution of the family in the past than today and subsequent extinction over much of its former range.